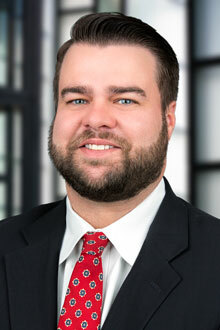 Jason Hall is a partner in the Tampa office of Lewis Brisbois and a member of the First Party Property, Insurance Coverage, Bad Faith Litigation, General Liability, and Professional Liability Practices. Mr. Hall focuses his practice in the areas of civil litigation and general liability, including trucking defense, premises liability, negligent security, and professional liability matters. Mr. Hall has significant experience representing professional and corporate clients in various capacities, from pre-suit and coverage matters to litigation through trial. Mr. Hall zealously advocates for his clients to obtain the best possible resolution, while maintaining awareness of potential exposure to insurers and/or agents. Mr. Hall has practiced in the areas of general liability and first party property litigation, and has successfully handled hundreds of files to an appropriate resolution for his clients. Mr. Hall has experience in various stages of litigation, from pre-suit handling, examinations under oath, motion practice, discovery and dispositive motions. Mr. Hall has conducted the depositions of fact and expert witnesses, and understands the importance of proper preparation of corporate clients. Mr. Hall has successfully mediated numerous cases to amicable resolutions for clients well under settlement authority. While in law school, Mr. Hall was awarded a book award for the highest letter grade in Gambling and Pari-mutuel Law.